A structurally unsound silo can jeopardize the safety of your stored materials, workers and business. Extending the life of your existing silo through repairs can come at a fraction of the cost of constructing a new silo. Marietta Silos is the largest silo repair company in the United States, and the only one experienced in Jumpform, Slipform, stave, concrete and steel silo repair. Often, concrete silo repairs need design and engineering input to accurately correct an issue the first time. Marietta Silos boasts repair supervisors that have over 50 years of experience. Our team even goes the extra step to identify the root cause of the silo damage, and incorporates those findings into our repair procedure. 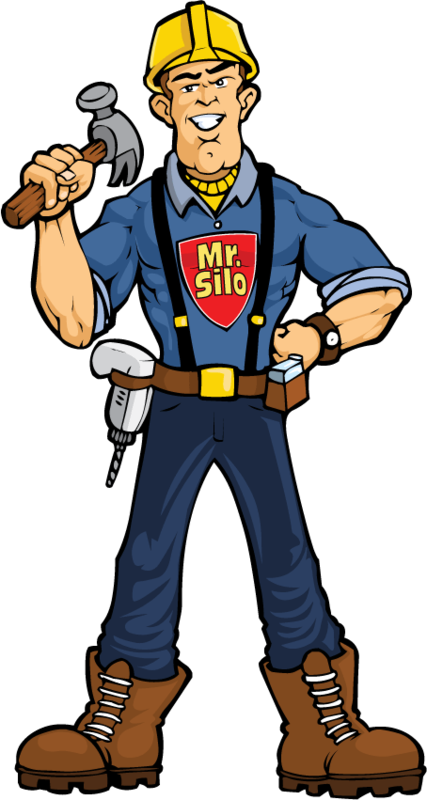 Marietta Silos can respond to an emergency silo repair or work around your schedule for repairs that are overdue. Repair options include silo post-tensioning, shotcrete-gunite, structural silo repair, silo roof repair, rehooping and composite fiber reinforcement. If a concrete or steel silo is beyond repair, Marietta Silos offers the latest in demolition techniques to ensure a safe and efficient work site. Other repair options include silo and tank liners which can help restore the structural integrity of your silo, seal walls and floors from leaking materials and prevent material contamination. Marietta Silos offers liners in several varieties, including concrete, steel, stainless steel, epoxy, PVC and waterproof coatings. Contact Marietta Silos at 800-633-9969 to start your concrete or steel silo repair process today.